Global Entrepreneurship Week starts this week and it’s a movement worth following and supporting. Growth-oriented entrepreneurs are the backbone of local economies. They create new jobs in high-value sectors, like climate technology, agribusiness, and digital innovation, while also extending access to products and services — such as mobile banking and medicine — to poor or remote communities. [As an example] In Jamaica, farmers lose a significant portion of their produce to spoilage because they lack direct access to the markets. Instead, they must haggle about prices with middlemen, resulting in increased costs and delays. 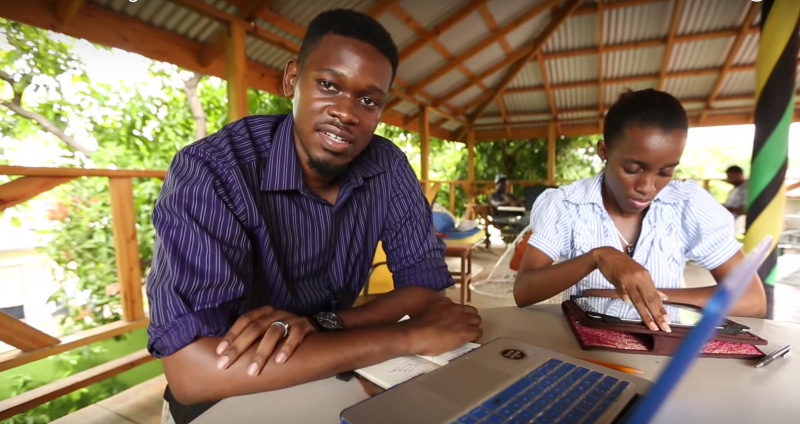 To address this inefficiency, Jamaican entrepreneurs Jermaine Henry and Janice McLeod developed AgroCentral, a mobile app that matches farmers with buyers in the hotel and restaurant trade. The result? Greater revenue for farmers, lower prices for buyers, and reduced waste. At Pyxera‘s Global Engagement Forum, Ricardo Michel from USAID shared that for every dollar you invest into entrepreneurs, it generates 13 dollars of return. Indeed, even the new Sustainable Development Goals by the United Nations highlight that entrepreneurship plays a critical role in not just value creation, but also in ending poverty and injustices. And while many people hero entrepreneurs for their inspiring work, others recognize that entrepreneurship is incredibly challenging. Ganesh Rasagam is not alone in recognizing this challenge. In fact, the World Economic Forum and ANDE have issues reports that behind access to capital, a lack of access to talent is the leading barriers to progress. At MovingWorlds, we see a countless number of social enterprises and startups requesting all kinds of skills in order to help grow: Design, business, operations, human resources, engineering, and software development to name a few. So at this year’s GEW, do more than follow along. Think about the resources, connections, and talent that you have, and then figure out how to contribute those to the greater good. If you’re interested in volunteering your skills with startups, here are 4 world-changing reasons to volunteer with startups. Fostering global entrepreneurship isn’t the cure to all of the world’s challenges, but it will empower and help develop people that are doing the most to solve them.